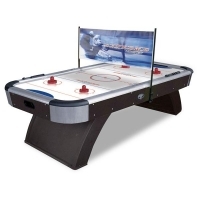 Compare to Air Hockey tables. 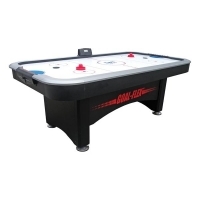 Enjoy hours of fun in your home game room with this table hockey air game. 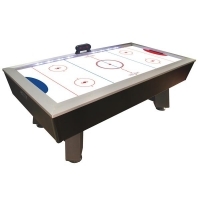 The HT220 features electronically adjustable goal sizes for each player, a 78 inch x 40 inch playing area, and an electronic scoring display. Order your table hockey game tables here. 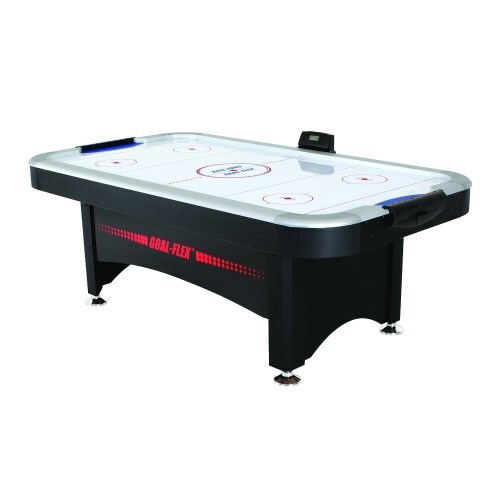 This table hockey game table includes a 1-year warranty from the manufacturer, Escalade Sports. Play surface: 78 inches x 40 inches. Goal Flex 80" 10 LED with side scoring display. Patented Goal Flex Technology - goal size is electronically adjustable for each player. Shipping dimensions: 86 inches x 49 inches x 6.5 inches. Q: Who honors the warranty for this product? 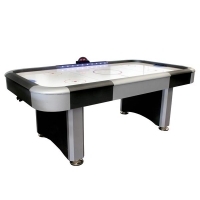 A: The warranty for this hockey table is through Escalade Sports. 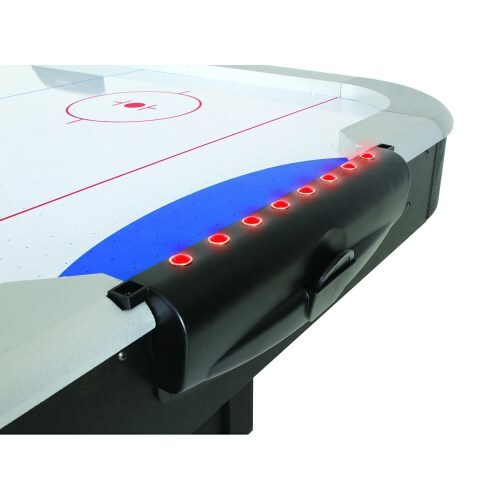 Light-up rails change to whomever has the lead. 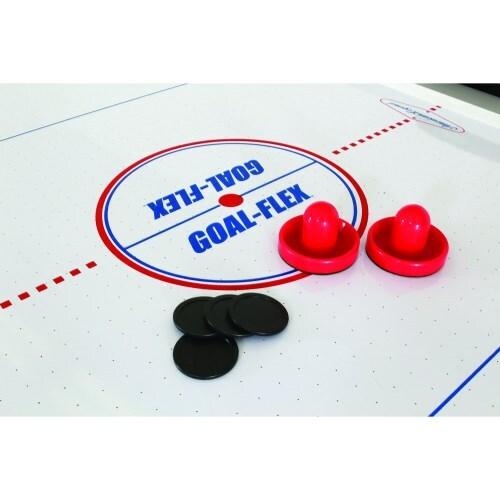 Goal Flex Technology - adjustable goal sizes for different skills and ages. Interactive rail lights respond to scoring by changing color. 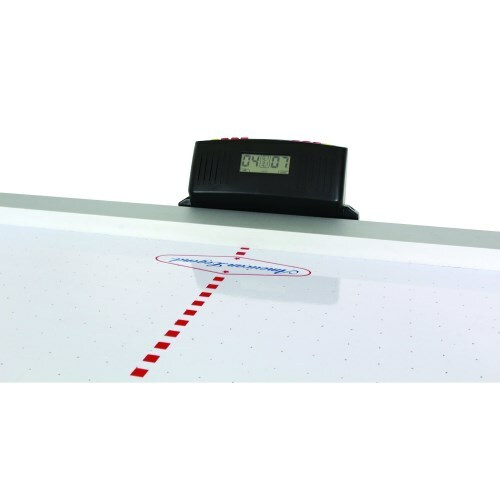 This product ships from the warehouse in Evansville, Indiana via an ltl carrier for a curbside delivery. This type of delivery requires the customer to be present to sign for the shipment and to move the product wherever needed on the delivery property. The driver will not assist with moving the product onto the property. Delivery appointments are scheduled through the freight company before delivery is attempted. You can either wait for the freight company to contact you to schedule the delivery appointment, or you can contact the freight company directly to schedule the appointment once you have the tracking information for the shipment. Dimensions: 86" x 49" x 7"